2014 BMW C 600 Sport. Picture credits - BMW. Submit more pictures. The city: a world of streets and possibilities. It offers adventures and challenges in equal measure, and is the perfect environment for the first maxi-scooter ever developed by BMW Motorrad � the C 600 Sport. This intelligent mobility solution is an out-and-out BMW Motorrad machine, and its excellent handling and sophistication drive train ensure a level of performance that will captivate riders and any onlookers. Price as new (MSRP): Euro 9495. Prices depend on country, taxes, accessories, etc. 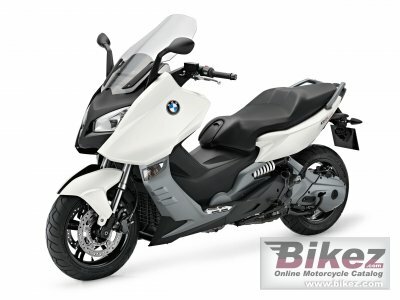 Ask questions Join the 14 BMW C 600 Sport discussion group or the general BMW discussion group.